To answer the question, “What is a spiritual awakening experience?”, the best approach is to start by looking at what each word means. To put all of this together, a spiritual awakening experience would be the direct participation in the process of becoming aware of the animating or vital principle held to give life to physical organisms. This is a general description of that experience and there are numerous experiences that have been shared by people from all over the globe. 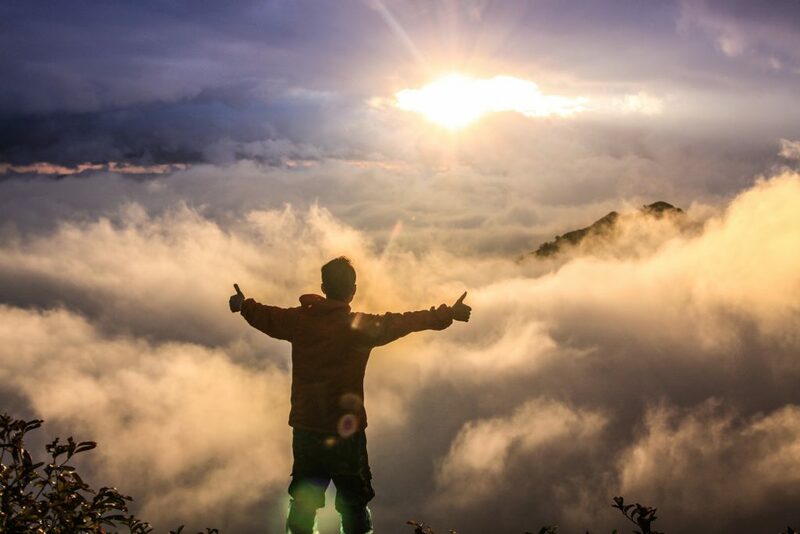 While each of these experiences are unique in and of themselves, the one common trait is the realization that we are much greater than just our physical manifestation. How Do You Have Your Own Spiritual Awakening Experience? If you are curious about what this mystical experience is, then you are most likely looking for ways to have this experience yourself. I believe that everyone that has a balanced neocortex can have this experience. The neocortex is the newest part of the human brain that really distinguishes us from other life on this planet. It is where the analytical, logical left brain functions and holistic, intuition right brain functions take place. That is a great question and we will explore that later on in this post. First let’s discover what nature did intend. 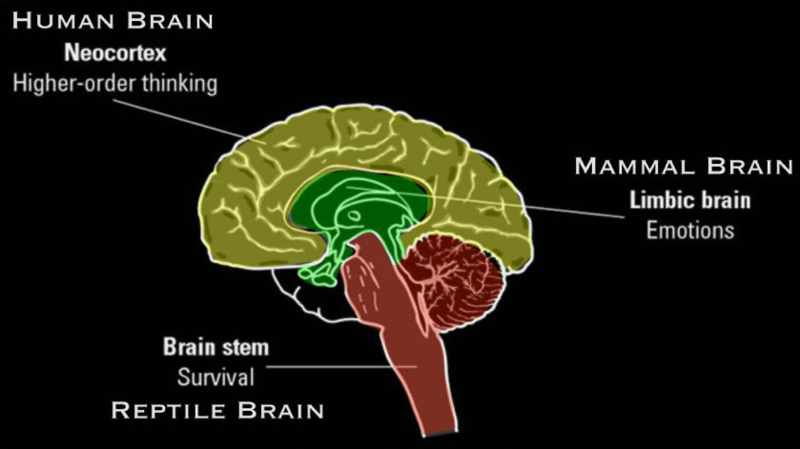 Brain Stem – The brain stem, sometimes referred to as the reptile brain, is responsible for our survival. It is largely instinctual and controls our motor functions. If we look at a crocodile we can see that it is an instinctual animal whose actions are largely based on survival. Limbic brain – This is known as the mammalian brain and is what allows us to experience emotions. This part of the brain is also found in other mammals. When we observe monkeys or dogs, we can see that they experience a wide range of emotions such as sadness and joy. Neocortex – The neocortex, also known as the “grey matter”, is the part of the brain that is unique to humans (as far as life on earth is concerned). The right hemisphere of the neocortex allows us to think analytically, use logic, communicate via language/symbols and conceptualize math and sciences. The right hemisphere enables us to have holistic thought, utilize intuition, be creative and express ourselves through art and music. Take a moment and think about nature. Everywhere you look at pristine nature, you see equilibrium. We see this in forests and how different species are able to live harmoniously in a delicate ecosystem. Now look at how humans currently live. You see pollution, conflict and apathy. Of course we have been able to do amazing things and technology is advancing at a tremendous pace, but when you contrast human actions with nature it is easy to see that we are not in harmony. Based on my current understanding of the spiritual awakening experience, I see 2 main paths that can lead to it happening to an individual. The first is what I experienced and most of the experiences I’ve heard and read about is an epiphany moment. The light just comes on and everything is absolutely clear for a short while. The other method is to deliberately work on strengthening one’s own thought processes in order to bring the brain into balance. The former can be exhilarating at first, but then can become confusing and lonely as one tries to figure out what to do with this knowledge. The latter can be frustrating and test one’s patience as they venture into the unknown. I would say the first is definitely the easier route of the two, but no matter what the second path must be taken by both if one wants to remain in this heightened state of consciousness. Jim Carrey, the actor/comedian, has spoken of his experience as a moment of clarity but laments that he hopes to have that experience again. Before I begin recounting my experience, I want to make something very clear. My experience is anecdotal and is not intended to qualify as a sound argument or compelling evidence for objective Truth. It is the responsibility of each individual to come to know the truth on their own terms. There is a method that you can learn that will allow you to do just that called the trivium, which comes from Aristotle. 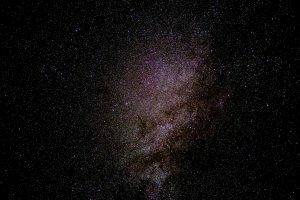 I am sharing my personal experience because it may help you if you have had an awakening yourself or if you are sincerely interested in becoming awakened. With this and all of my writings, please take what resonates and leave that which does not. My awakening came late at night on June 11, 2016 while listening to a text to speech article on YouTube. The article was a channeled message that a human received from a consciousness identifying as a 9th dimensional beings known as Arcturians. The best word I can use to indicate why it happened at this moment is “triggered”. It wasn’t necessarily the content, otherwise everyone who watched that video would have had the same experience. It may have been the sound of the synthetic voice or possibly even the fractal graphics that were playing in the video. I’m not sure what, specifically, caused it to happen at that time. What I do know is that I had a physical response to that stimuli. It may have been programmed in my DNA or it may have been planned to happen when I was doing a soul review between lives. I do not have the full understanding of why, yet, but I do know that it is directly related with my purpose here on earth. When it happened I felt an orgasmic energy enter through my crown chakra and stream down my back. I simultaneously felt an anticipatory feeling (like a child the night before Christmas) enter through my root chakra and travel up the front of my body. I “knew” a lot more information at this moment than I had in my entire life. Looking back, I’m pretty sure that I had learned all of this knowledge prior to this event, but all of it coalesced into one. It was like working on a million piece puzzle and you had observed all of the pieces and then all of the sudden it was put together. I feel that it may help to highlight the pertinent parts of my life leading up to this event. My childhood was quite easy. I had a lot of friends, was very athletic, and school was not challenging other than being bored. I was an only adopted son, and I thought that it was because of the adoption that I felt like I didn’t really belong. I first experienced depression while in college and that progressively worsened until I became resolved to beat it in 2013. I slowly learned how to manage the disease and was at a point that I finally had more “good” days than “bad”. In January of 2016, I began receiving Reiki weekly. I would feel a great boost for a couple of days but was an anxious wreck by the time the next appointment came. It was around April that I began gazing at a star in the sky. After a few weeks of being mesmerized by this star I finally used a sky map app on my phone to determine which star was holding my attention. It turns out that the star was Arcturus in the constellation of Bootes. It is the third brightest star visible from earth. I continued to gaze at this star and it always made me feel good. I felt a pleasant chill on the back of my neck and would get goosebumps. I finally began to research it deeper on the evening of my awakening, which is what led to me watching that video. A week prior to this I had had a mini awakening philosophically. In my early twenties I searched for spiritual truth in earnest. I read a lot of books, practiced meditation and was able to lucid dream regularly. It may very well have been this anchor that kept me alive through the darkest years of my depression. I had a realization at this time that there was something very, very wrong with the world. I had just voted for the first time in my life and after 2 years of watching every promise broken I knew there had to be a better way for humans to interact with each other. I somehow knew that each person needed to be their own sovereign being. This is when the depression began. I felt that the best way for humans to live would be in anarchy, but it was a concept that I couldn’t see happening for 600 to 700 years. Because of this I felt even more out of place and hopeless. I considered myself a theorizing anarchist at that time, but I did not really pursue the ideology. In fact, I wasn’t even aware that a lot of brilliant minds had written on the subject. It wasn’t until I began receiving Reiki that began to entertain the ideology as something that needed to be pursued with a little more urgency. I was pleased to find a lot of information online and it was a book titled, Freedom by Adam Kokesh. It is a short summary of the voluntaryist philosophy and a good introduction to anarchist thought. You may be shocked to learn that anarchy has nothing at all to do with chaos. It simply means no rulers. This stirred hope back into my life and I was able to see that it was something that could possibly happen in my lifetime. I now see it as something imperative that needs to happen in my lifetime. I am more hopeful everyday as more and more people are opening to the possibility that this may indeed be a huge improvement over the current paradigm. I know that it won’t come about through a violent revolution and it troubles me that there are so many that believe this to be the right way. I see the only way to achieve this state of being AND keep it is to get there through a raise in consciousness throughout humanity. We have already done the violent revolution route, which was a great leap forward, but we have taken quite a few steps back since then. Men like Samuel Adams and Thomas Paine knew about human rights based in natural law and tried to protect them. Ultimately rights can only be protected by ourselves as having them written on a piece of paper can’t actually stop people from violating others’ rights. Growing up the US, I went to public schooling which is good at teaching humans what to think as opposed to how to think. Students become conditioned to accept authority rule and we are raised by our parents the same way as it really is the only paradigm that we know. One consequence of being told what to think and stressing left brain functions at the expense of right brain functions is to create a serious brain imbalance. I had a serious left brain dominance and looking back, the Reiki seemed to open up my intuitive right brain. 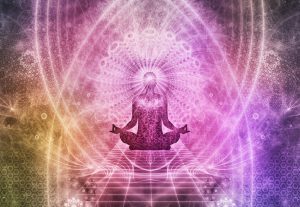 Following my intuition to research Arcturus and anarchy, along with the Reiki, seemed to strengthen my right brain enough to bring it close to balance. Close enough for the trigger to take place. I had also changed my diet to mostly natural, whole foods which I know had a great impact. The most profound realization from the awakening is the knowing that all is one and I am directly connected with that. I felt loved like never before and at the same time was able to express unconditional love to all. I also knew that I would never have to experience depression again. I still struggle with anxiety and I have a lot of deeply held “beliefs” that do not align with truth. When I hear about the death of the ego, this is now how I understand it. The old ego needs to die in order to build a new ego that is based in truth which aligns with nature. Just like you wouldn’t build a new house on top of a rickety old shack, that shack needs to be razed. If you were to ask me for advice on how to have your own awakening I would say to begin to seek the truth in earnest. The only time you need to have faith is at the beginning. Have faith that the truth can be known and hold it as priority number one and you will have this experience for yourself eventually. It will be a lot of hard work and dealing with dark emotions can be very unpleasant.